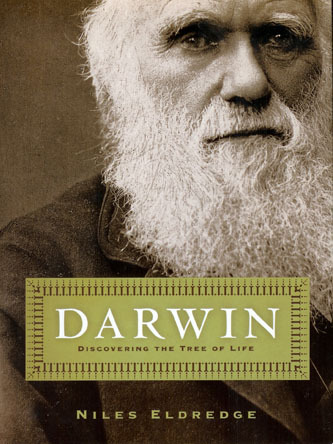 Perhaps no phrase so succinctly, and so famously encapsulates Darwin’s theory as the phrase “survival of the fittest”. And yet, in that small phrase lies not only the birth of Progressivism in America, but also it’s greatest paradox. Progressivism grew out of the Darwinian model. It sought to replace the theocentric view espoused by most Americans. This trend continues in full force with the so-called “new Progressives”, who many times pay lip-service to the idea of “God”, but are in the main Darwinian, Nietzschean atheists. Man, they would tell us, would have to fix his own ills and so it would take the best and the brightest (i.e. scientists, enlightened and brilliant political and entertainment figures) to right the ship. An oligarchy of the intelligentsia if you will. However, there is a problem with the very core of this theory. It conflicts wildly with the Marxist foundation upon which it rests. For if we are to truly believe Darwin, we are compelled to believe that it is through the unique individual that all evolution takes place. Transmutations in nature do not occur, according to Darwinian teaching, en masse, but rather with unique creatures who somehow mutate in ways that end up being beneficial, and result in genes that serve to self-perpetuate a superior creature capable of survival beyond the level of its predecessors. So how does this create a paradox for Progressives? Simply put, Progressives wish to espouse Marxist or, at least quasi-Marxist, positions that require the superiority of the collective over the individual. Progressives, in Marxist fashion, are constantly promoting the concept of the collective good over the individual. It then becomes completely inconsistent to claim you espouse “the scientific” approach as opposed to the “hocus pocus” of religion, while simultaneously promoting the collective above the individual. For if you believe the science you claim to believe, it is the individual that leads to the evolution of the species and not some communal arrangement. So then I leave you with the Darwinian Paradox of Progressivism. Either you believe in science and exalt it above religion or you believe in any form of Progressive collectivism. You cannot, with any logical consistency, embrace both. Very good stuff. I really enjoy reading your work. AlinskyDefeater puts great effort into his teachings and is greatly appreiciated. Well, done! You have given voice & focus to things that I’ve loosely wondered about myself! Very spot on perspective. I believe all of these inconsistencies are the reason that so many liberals are so bitter & angry all the time. They want to believe & yet, at every turn, truth & logic interferes. Keep going, baby, you are on the right track. See ya, next week, darlin! I would add to that the Progressive idea of corporate protectionism. Things like the recent bailouts. “Survival of the fittest” Would seem to state that the strongest companies the ones that are the most dominant would be stronger and more dominant because they are the best and most stable companies. By the same token the companies that fail probably would because of bad business practices. Therefore being subjected to this “creative destruction” as it is called, would fit very nicely into a “natural selection” point of view. but no. When big companies start to fail, it is decided that they must be saved by public funds, therefore keeping a bad business in the market, and disrupting the natural flow of capitalism. I agree and have wondered about the paradox as well but I could never have put its so very well. They must be so uncomfortable in their own skin. It feels so much that they are lashing out at everything in such a confusing manner that seem to me like a child having a tantrom. They donot seem to know how to express their feeling in a coherent manner. As if a codependent or some sort of disorder and intelectual conflict. Sort of a different interpretation of feeling. My sister is one of them very inteligent functions at a very high level but actions make no sence a conflict an immaturity of idioligy disconect of reality. sorry had a page to write on. Excellent post. There are a lot of similar illogical paradoxes in liberal “thought.” One of my favorites is belief in both man-made “global warming/climate change” and Darwinism. Darwinism dictates that environment plays a role in evolution, adapting to different climates and their effects, but the climate change alarmists would have us believe that humans are responsible for climate change. How then, can evolution have occurred in the first place. There’s no need to adapt to a static environment . . . anyway, great post. I also like Not Deceived’s point about business. I think that’s true, too, and that if he’d been in charge, BO would still be paying money to Ahab to ensure that his whale blubber business didn’t fail. For things to progress, move forward, other things have to fall by the wayside. Otherwise, we’d still be using whale oil (and I’m sure the climate change creeps would blame that.). Believing in a scientific theory and pursuing a political philosophy are two entirely different things, that need not perfectly align. To compare the two in terms of Progressive ideology would be akin to asking a religious conservative to wholly reconcile belief in the bible and with belief in a strong military (or any violence). Besides the two things you bring up don’t form a paradox. Progressivism really is a belief in finding the best answers to problems. Darwinism is the best scientific answer to how species have evolved, and collectivism is the belief that if we all strive to work together and support each other then we all are better off in the end. 1) No one thinks humans are the only things that affect the environment. Climate change science says that our contributions may be exacerbating naturally occurring climate cycles, and that Co2 levels in the atmosphere may reach a dangerous tipping point that it would not have reached without our contribution. 2) The ‘Environment’ aspect of Darwinism doesn’t mean only the air and land around an animal. It means other animals, all living things, cataclysmic events, scarcity of food. There was never a static environment, and no one has claimed there was. Found this through a Google search. Although I am on board with your general perspective, your political philosophy and history of science could use a bit of tweaking. The nineteenth century thinkers were for the most part Hegelian, meaning progressivist and millenialist. Darwin was such a creature of his age. His Origin of a Species is pretty well grounded in scientific observation, and its conclusions are limited mostly to fact. His Descent of Man, however, is nothing more than a work of scientific mythology. But myths (creation stories) are very powerful, and, in a scientistic age such as ours, a creation myth laid out in scientific jargon is candy to the masses. The Christian Socialists, Social Darwinists, and Progressives were all true believers in the Darwinian creation story. A parallel development, Marx’s ideology simply eliminated the transcendent from Hegel and is a first cousin of Darwinism, though not its identical twin. But Nietzsche was definitely not Hegelian, not Marxist, and pre-modern in many ways. Hegel and Marx would have recognized the progressives of today as their progeny. Nietzsche had a name for the progressive, “the last man”–The spineless liberal who seeks equality above individual freedom, creativity and excellence. Bottom line: you nailed Darwin’s thought as a motivating influence of progressivism. And your insight that progressives are intellectually bankrupt (referring to some sort of paradox) is also right on. I would just disagree with how you make that point. And even though Nietzsche was anti-Christian, he was a good critic of the nineteenth century Hegelian-Darwinian-Progressivists. Dostoevsky, Strauss, and Voegelin are good correctives as well. The Council Has Spoken!! This Weeks’ Watchers’ Council Results | Virginia Right! Also watch for: Means and Ends, Is Alinsky so Bad?, and Alinsky and twitter tactics. What does the #ocra hash tag mean?